Lace, paper, gold leaf, gold paint and tape are all you need for these impressive-looking projects. 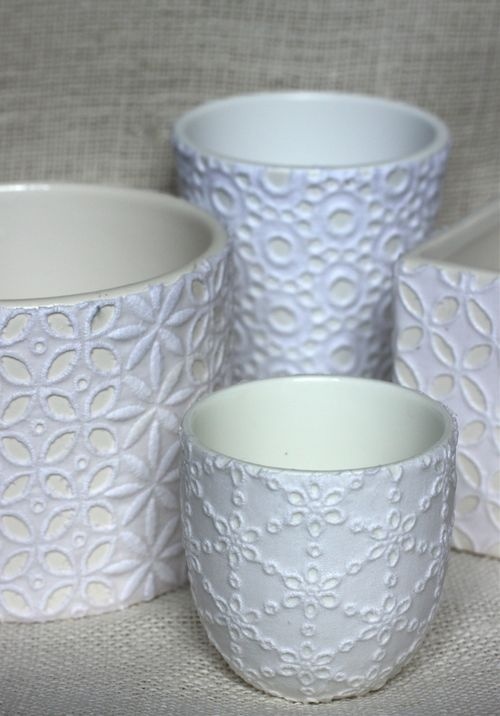 Lace containers by Suzonne at Urban Comfort, doily cuff at Burda Style, gold confetti dish by Casey at Vitamini Handmade, gold paper mache bowls by Kelli Murray, gold chevron art by Jess Lively, gold wall design by Alecia Stenseth at Design*Sponge. stunning images! I love both gold and lace. All of these look so legit - I'd especially like to try my hand at making the confetti bowl. I say someone make a Kate Spade like-vase (large gold dot vase) online somewhere a month or two ago, and it turned out great. Good inspiration! 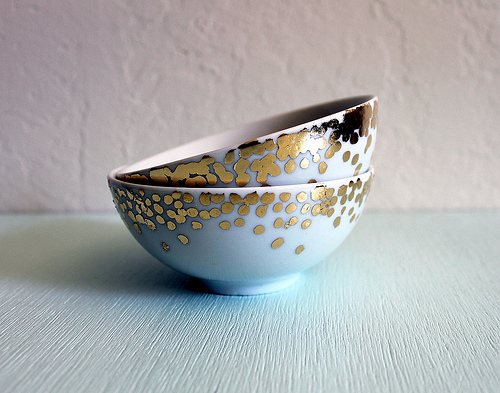 I think gold foil looks great on white china or even on clear. Love the cuff! 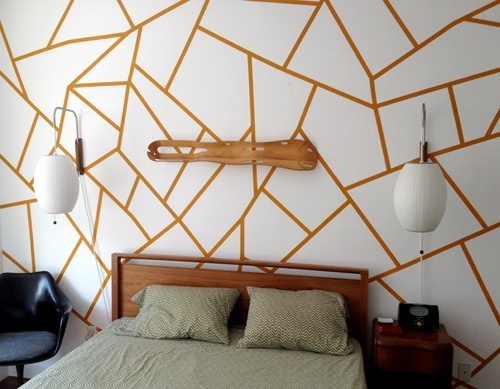 I've seen a similar project somewhere but using spray-paint instead of gold leafing. But I guess leafing gives it more metallic look probabl. 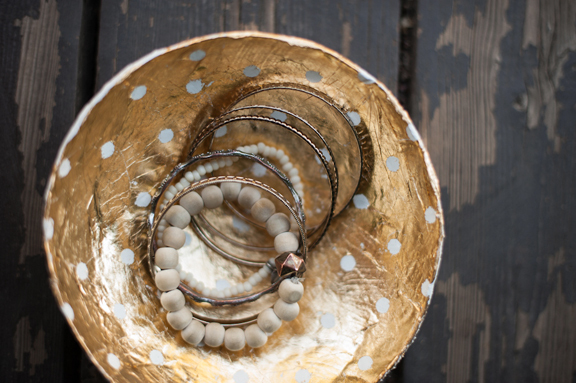 Those gilded bowls are so pretty. Gotta love polka dots! 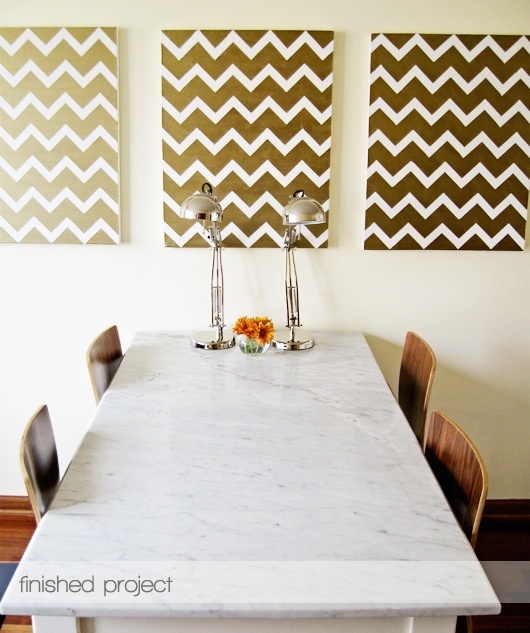 They are all gorgeous - especially the gold & white Chevron art! Thanks for stopping by my blog Coastal Style. You have a gorgeous blog full of inspiration - I have justed signed up as your latest follower! Thanks. Love your blog, too.